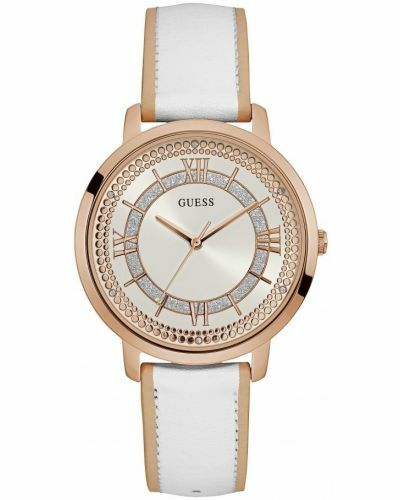 This beautiful women’s watch is brought to you by Guess as part of their Montauk collection and features a striking oversized rose gold plated stainless steel case and bezel. Housed beneath protective mineral glass is the stunning sunray dial with a crystal set inner dial complete with rose gold circular detailing. Rose gold Roman Numerals are used at quarterly intervals and are complimented by the delicate rose gold three hand movement. 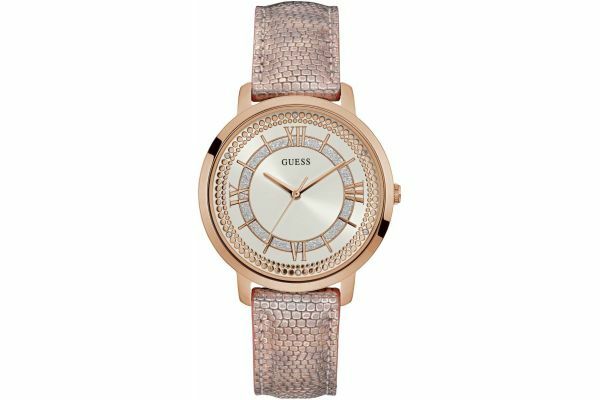 Set upon a sweet metallic coated snakeskin effect pink genuine leather strap, the Montauk watch by Guess is both comfortable on the wrist and easy to wear. Secured by a rose gold-plated buckle, this watch is easily adjusted. Powered by Quartz movement and water resistant to withstand handwashing and rain, the Montauk watch is the ideal timepiece for casual wear and comes complete with a two-year guarantee and official Guess packaging. 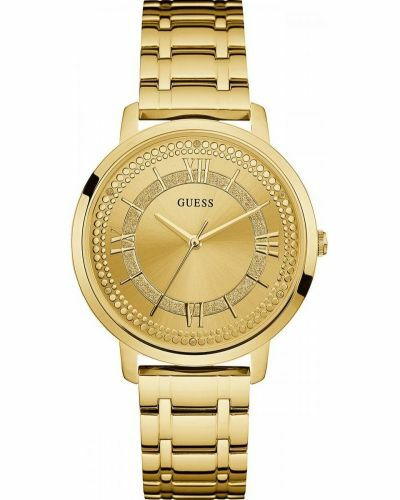 For us to size your new Guess Montauk watch as accurately as possible, please take a look at our downloadable Watch Sizing Guide.